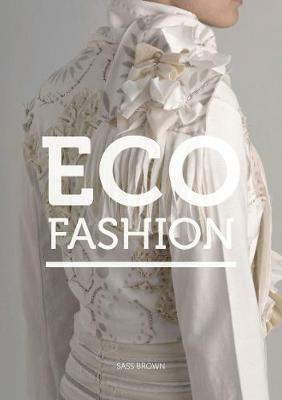 One of the strongest trends in fashion is the expression of ecological, social and community consciousness, which has recently moved upscale from organic cotton T-shirts to high fashion. There is now a wide range of companies offering welldesigned merchandise, from one-off art, recycled and redesigned clothing, organic and sustainable textiles and garment production, to a range of community and indigenous support cooperatives bridging the gap between traditional craft and high fashion. This book shows the range of companies making a difference in the area of sustainable design in fashion, exploding the myth that sustainable design is bad design, or at best basic design, by highlighting the range of companies producing desirable and well-designed apparel and accessories with a conscience. It not only demonstrates the range of products available around the globe, but explains the stories behind them and the communities they support, as well as showing how and where they make a difference. Sass Brown is a full-time professor at the Fashion Institute of Technology in New York, and lives in Florence, Italy, where she is Resident Director for its overseas programme. She has created collections for myriad manufacturers, from urban clothing for London's trend conscious teenagers, to her own signature collection of women's designer sportswear. She specializes in ethical design practices in the fashion industry and has worked with women's cooperatives in Latin America, most notably COOPA-ROCA in Rio de Janeiro, Brazil.